The number of cameras is greatly increased due to security, road monitoring, and home-care demanded. Images remained clear and correct field of view (FOV) are very important for video surveillance, and yet a large-scale system installed with a huge amount of cameras is hard to maintain. 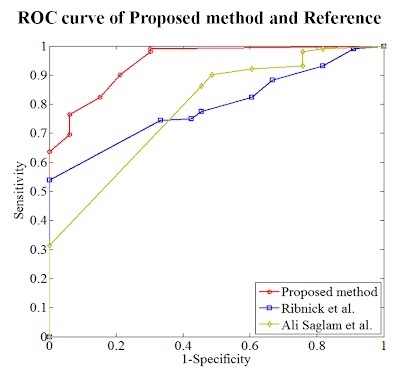 This paper presents a camera anomaly detection method based on holistic feature analysis over time in salient regions for automatically online determination. 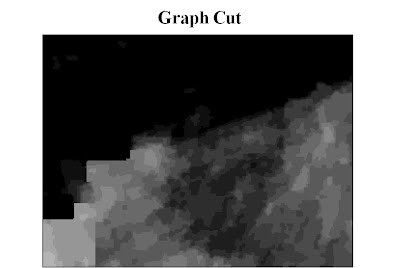 The salient regions are constructed from a Markov Random Field framework, which is modeled by pixel-based accumulated movement. 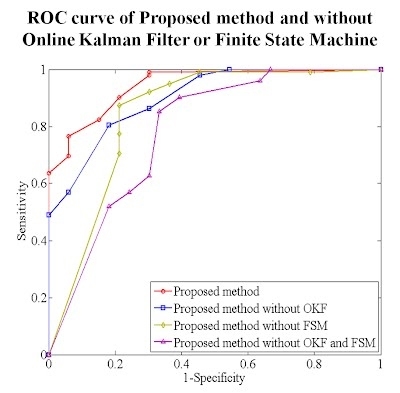 There are a handful of holistic features extracted from salient regions, and an online Kalman filter is introduced for recursive smoothing uncertain features. A finite state machine, then, is further designed for real-time event detection. The proposed method yields a robust solution for reducing noise produced from real-world complexities. 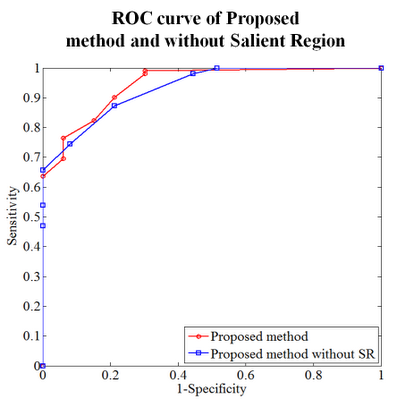 Experiments are conducted on a set of recorded videos simulating various challenging situations.The test results show that the camera anomaly detection method is superior to other methods in terms of precision rate, false alarm rate, and time complexity. 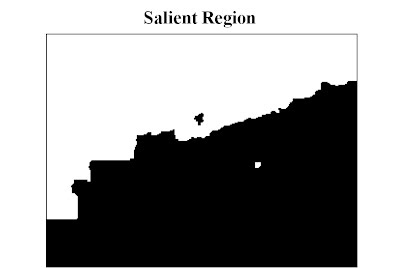 The salient region is defined as the particular area in an image, which has less influenced by the moving objects. Retrieve the holistic features ​​in the Salient Region can avoid the influence of moving objects thus reduce the false alarm rate and computational complexity. 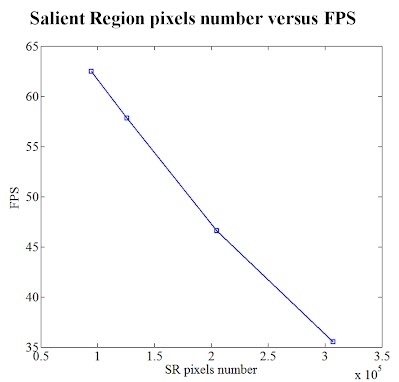 The performance in our implementation takes about 35.5 or higher fps in VGA resolution with 0.765 sensitivity and 0.94 specificity. The performance is reported with an Intel(R) Core(TM) i7 CPU 920, 3G RAM, and 32-bit Win 7. E. Ribnick, S. Atev, O. Masoud, N. Papanikolopoulos and R. Voyles, "Real-time detection of camera tampering," Proc. IEEE International Conference on Advanced Video and Signal Based Surveillance, pp. 10-15, 2006. A. Saglam and A. Temizel, "Real-time adaptive camera tamper detection for video surveillance," Proc. IEEE International Conference on Advanced Video and Signal Based Surveillance, pp. 430-435, 2009. Y. K. Wang, C. T. Fan, K. Y. Cheng and Peter S. D., "A Reduced-reference Design for Automatic Camera Anomaly Detection," in Proceddings of 7th International Conference on computer vision and graphic image processing, Taiwan, 2011 . Y. K. Wang, C. T. Fan, K. Y. Cheng and Peter S. D., " Real-time Camera Anomaly Detection for Real-world Video Surveillance ," in Proceedings of 3th International Conference on Machine Learning and Cybernetics, Guilin, 2011 .